The City of Winchester began its annual street repaving program on Monday, September 17. The Fiscal Year 2019 program includes repaving on 26 different streets with an overall distance of approximately 11.03 lane miles (see list below and map attached). The streets selected for paving are based on an annual review of all streets in the city and criteria that includes the classification of the street, traffic volumes and the current physical condition. The City’s goal is to complete all of the repaving for the streets on the list this fall before Thanksgiving (weather permitting). Any work remaining after Thanksgiving will be completed in the spring of 2019. The total cost of the repaving program this year will be approximately $1 million with the City of Winchester paying half ($500,000). The other half ($500,000) will be paid with State Revenue Sharing Funds from VDOT. 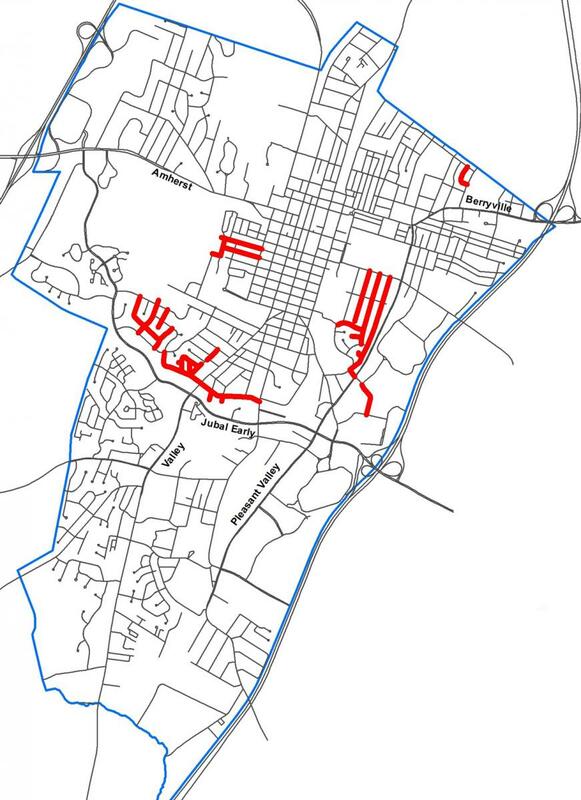 Sections marked in red are the streets to be repaved.